Lesbian-owned sandwich shop in the heart of the Wilton Manors gay strip. Try the corn chowder, it's delicious! I've been to this place twice and both times it fell short. First the good news, the subs are great. imaginative names, great combinations of ingredients. My oder came out right both times. I'd recommend this place to order subs to bring home to consume. I wish they had more heart healthy side dishes to go with the subs. As a dining experience, it lacks a lot. The tables and seating are uncomfortable at best. Like many sub shops I have been to, it's in a small space and it's limited by the facility if is in, However, it's just not an inviting place to eat, the decor is frumpy. Small local sub/sandwich shop right on the strip and great for lunch. Menu includes specialty sub or you can choose your own meat/cheese. Owner is super friendly and side dishes are all home made. 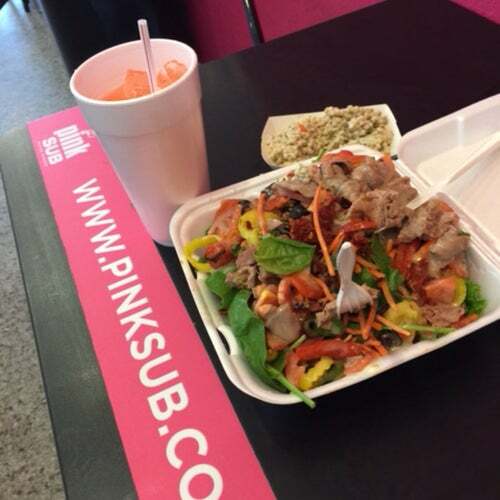 Combo sub/drink/side for $10.00. Worth checking out.